Vauxhall ADAM R2 driver James Williams and co-driver Tom Woodburn put the round one retirement behind them to finish a fine second. 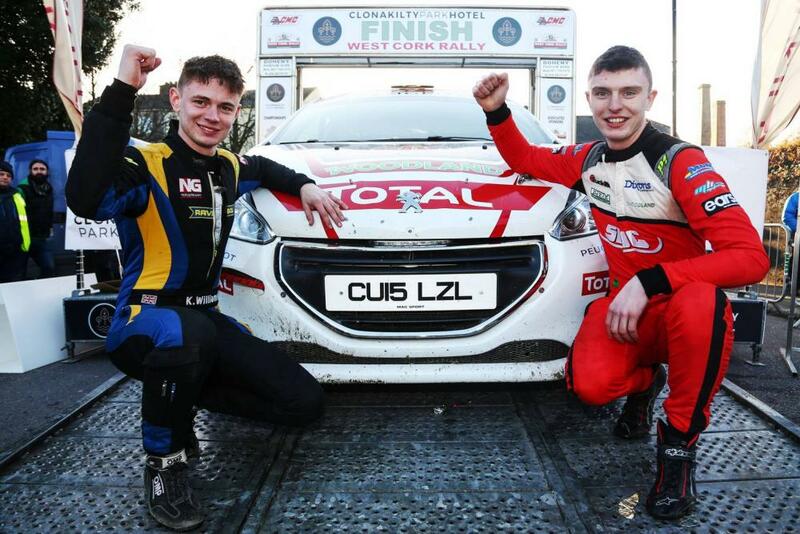 William Creighton and Liam Regan continue to be a regular feature on the JBRC podium as they notched up third. Finlay Retson was getting used to new co-driver Richard Crozier and second in the Fiesta standings and sixth overall was a solid result in their first season in the JBRC. Bart Lang and Sinclair Young in a older specification Fiesta R2T enjoyed the Irish lanes and picked up seventh while Nabila Tejpar and Max Freeman were pleased to put their first round exit behind them to pick up their first JBRC points in their Peugeot 208 R2. Fellow 208 crew Scott and David Sloan didn’t make it to the end of stage one as a sizeable shunt prematurely ended their weekend, while Jordan Reynolds and Peredur Davies’ weekend was cut short after suffering electrical problems on stage 11 in their brand new Ford Fiesta R2T.